Now is the time for peace! 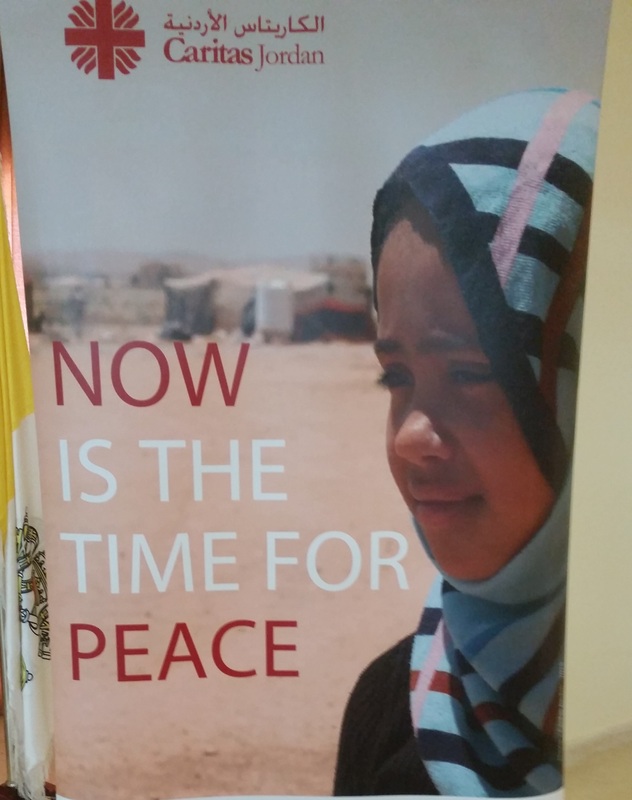 A poster with the message, “Now is the time for Peace,” greeted bishops from Europe, South Africa, Canada and the United States when they arrived in Jordan for a solidarity visit. The “peace now” theme permeated meetings with Iraqi and Syrian refugees. Bishop Oscar Cantú of Las Cruces represented the United States Conference of Catholic Bishops at the meetings in Jordan. Then the Bishop and I went on to Lebanon to meet with the local Church and more refugees. The situation in both Jordan and Lebanon is a humanitarian crisis of staggering proportions. In Jordan, we learned that they are hosting about 1 million Syrian refugees and 60,000 Iraqi refugees. This is a heavy burden for relatively small country of modest means with about 7 million people. In Lebanon, the statistics are even more startling. With a native population of only 4.5 million, Lebanon is hosting about 2 million refugees, mostly Syrians, but also some Iraqis. That would be the equivalent of the United States taking in some 140 million refugees over five years! We are scheduled to take in 10,000 Syrian refugees this year, not exactly our fair share. 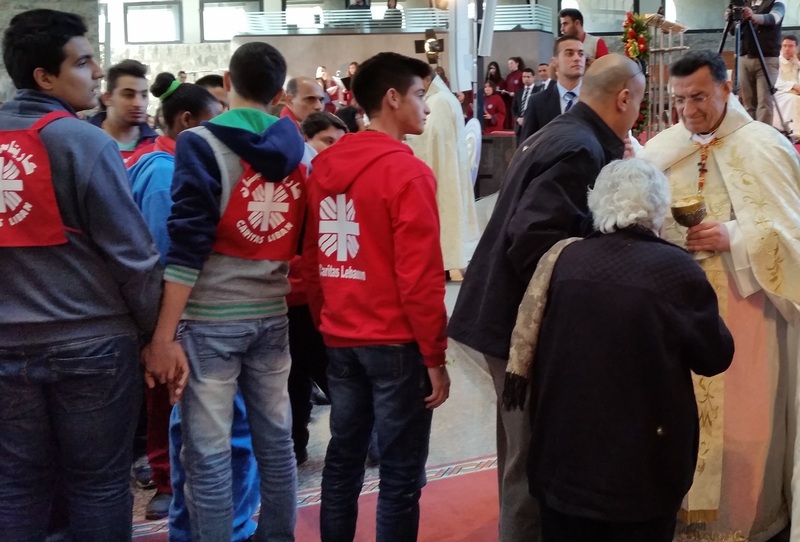 Maronite Patriarch Béchara Boutros Cardinal Raï distributes Communion at Mass for Migrants and Refugees at the Basilica of the Shrine of Our Lady of Lebanon in Beirut. But statistics only tell part of the story of the suffering that war, violence and persecution have brought to the region. Caritas Jordan and Caritas Lebanon are doing amazing work assisting both refugees and local people. With the support of Catholic Relief Services and others, they serve Muslims and Christians. It makes you proud to be Catholic. They enabled us to meet with refugees, to hear their stories. An Iraqi Christian family told us they had good relations with their Muslim neighbors before they fled the Nineveh plains in the wake of so-called Islamic State. They found refuge in Dohuk in the Kurdish region of Iraq, and now Jordan. They hope to be resettled in a country of refuge. They cannot contemplate going back to Iraq. We also met a woman who had fled Mosul. Her family left in the middle of the night with only the clothes on their backs. She, a teacher and her husband is a hospital worker, escaped with their three daughters, ages 28 to 24. It took them ten tense hours at night in constant fear to reach nearby Erbil. Protecting their daughters from being raped or kidnapped was a challenge. They witnessed killings and saw young women who were taken hostage as they fled. Another woman reported that her father was kidnapped in Syria because Christians are being persecuted. When her brother reported the kidnapping he was put in jail for two days. Refugees struggle in Lebanon where everything is expensive. One man said he works long hours but barely makes enough for them to live in Lebanon. Life was better in Syria. They want to go to Australia where they have been accepted, but their UN file is not moving. A mother reported that her children only get milk once a day. She is willing to go back to Syria if the situation improves because her son needs medical assistance. Originally, they thought they’d be in Lebanon for two months. It has been years. These encounters and many others give a face to the statistics. There are lives and families behind the numbers. At these and many other encounters, Bishop Cantú assured the refugees that they are not forgotten. And he affirmed what we heard time and time again, “Now is the time for peace.” For only peace can alleviate the refugee crisis. I hope all sides realize that at the peace talks in Geneva. Read Archbishop Kurtz’s statement regarding refugees fleeing Syria. 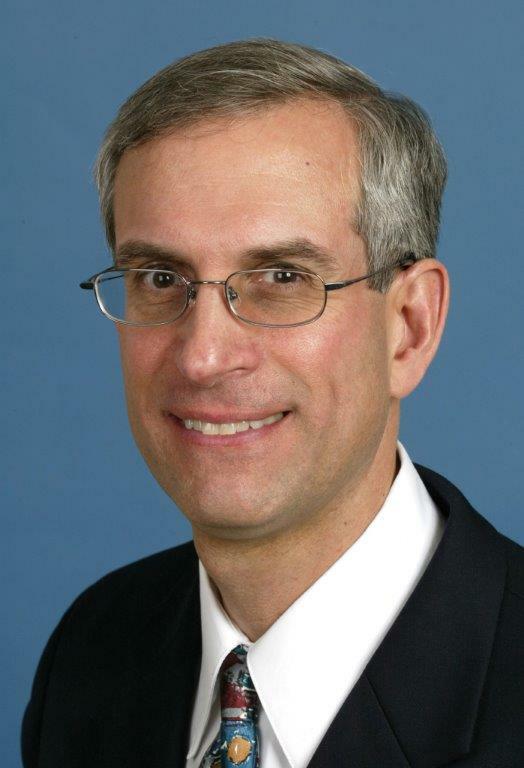 Learn about the work of Migration and Refugee Services/USCCB in resettling an supporting refugees in the United States. Join Catholics Confront Global Poverty, an initiative of USCCB and Catholic Relief Services, in advocating to improve the lives of poor and vulnerable people worldwide.